Ketchup and catsup are condiments usually made with ripened tomatoes. The term "ketchup" is more popular in most countries. The ingredients used — tomatoes, sugar, salt, vinegar, cinnamon, etc. — are pretty much the same in both ketchup and catsup. Some parts of US, Latin America, Mexico Most parts of the world. Both words are derived from the Chinese ke-tsiap, a pickled fish sauce. It made its way to Malaysia where it became kechap and ketjap in Indonesia. 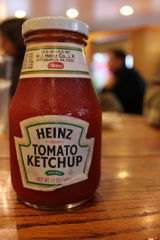 Catsup and katchup are acceptable spellings used interchangeably with ketchup, however, ketchup is the way it is popularly used today. "Catsup", which dates to the same time, may well be a different Romanization of the same word, trying to come closer to a sound that doesn't really exist in English. In the 1800s, "ketchup" was most common in Britain and "catsup" was most common in the US for reasons unknown. The two words never really canceled each other out because in their formative years, there weren't spelling dictionaries choosing a "correct" version of words. 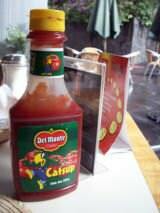 (Many Americans pronounced "catsup" the same as "ketchup" in any case.) Today, "ketchup" is the dominant term in both countries. According to a Heinz spokesperson, Henry John Heinz first brought his product to market as “Heinz Tomato Catsup,” but changed the spelling early on to distinguish it from competitors. Del Monte did not switch spellings until 1988, after it became clear that ketchup was the spelling of choice for American consumers. Hunt’s switched the name of their product from catsup to ketchup significantly earlier. Seventeenth century English sailors first discovered the delights of the "sauce", a Chinese condiment and brought it to the West. Ketchup was first mentioned in print around 1690. The Chinese version is actually more akin to a soy or Worcestershire sauce. It gradually went through various changes, particularly with the addition of tomatoes in the 1700s. By the nineteenth century, ketchup was also known as tomato soy. Early tomato versions were much thinner with a consistency more like a soy or Worcestershire sauce. 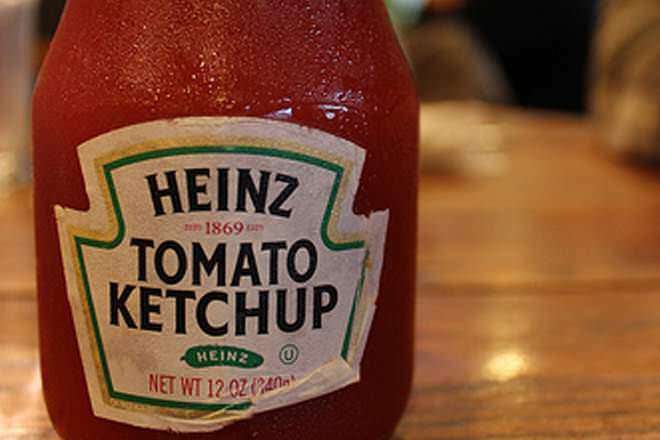 F. & J. Heinz Company began selling tomato ketchup in 1876. By the end of the nineteenth century, tomato ketchup was the primary type of ketchup in the United States, and the descriptor of tomato was gradually dropped. The basic ingredients in modern ketchup are tomatoes, vinegar, sugar, salt, allspice, cloves, and cinnamon. Onions, celery, and other vegetables are frequent additions. Catsup may be made of tomatoes, onions, cayenne, sugar, white vinegar, cloves, cinnamon, celery seed and salt. So the two do not differ much in their ingredients. But different manufacturers may use different ingredients for the two. Sometimes Catsup may be more spicy than Ketchup. I personally say ketchup and think that saying catsup is red neck terminology. However, I am from the North and now currently reside in the South and the grocery store aisle signs say catsup not ketchup. From doinga little research on it there actually is a difference between the two, I.e. ketchup has sugar as a main ingredient whereas, catsup has cinnamon as a main ingredient. And what about mayonnaise ? Who invented it ? Ketchup has always been cheaper where I'm from, but it usually has MSG in it (often hidden under the term "spices" so they don't have to admit it). My tongue tells me I like ketchup. But. You are what you eat, so more natural and less processed stuff is better, right? I'd rather have home made salsa from home grown veggies as a condiment. At least I know *for sure* what's in there. Catsup is not a redneck term. It's an old person term. My dad said catsup. I say ketchup. My Momma always said that life is like a box of chocolates...you never know whatcha gonna get! And for me...ketchup and catsup is the same! ketchup is what you do if you fall behind. It can only be Catsup ! Peronally, I've noticed that the stuff labeled "Ketcuhp" tends to be bit sweeter, thicker, and less prone to separation than the stuff labeled "Catsup." I wrote a short piece titled "Catsup" and I get more comments on my spelling than I do on the story. It's a great story with a distracting title which I think I will change to "Mustard". Hey. you may run, i'll just CATSUP with you. haha. 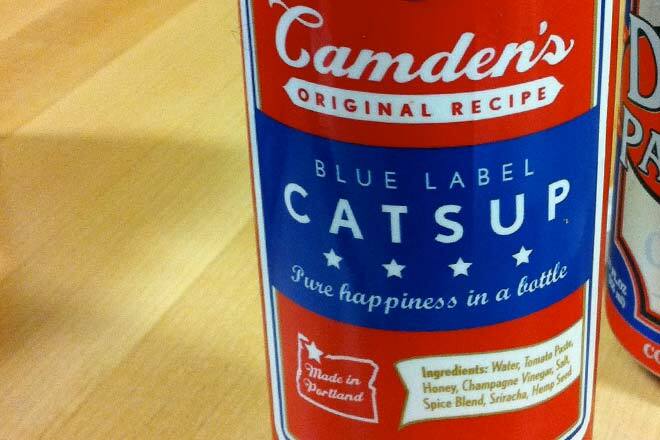 I grew up with "Catsup." Until recently, when I finally noticed that "Ketchup" was on the bottle, I just assumed that "ketchup" was the lazy way of pronouncing catsup. I reluctantly acquiesce.